This year we made our first shrine visit of the New Year (hatsumode) at Kogane Jinja in Gifu City. 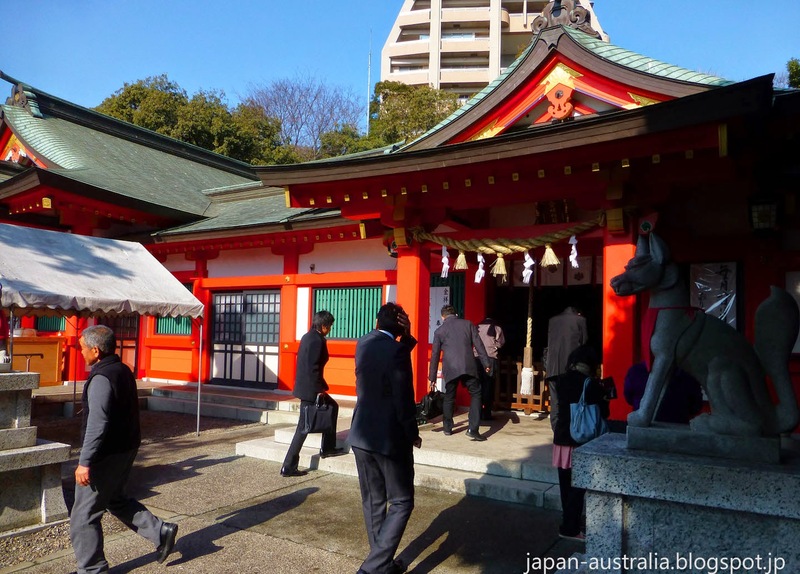 Hatsumode (初詣) is the Japanese tradition of visiting a shrine or temple during the first few days of the New Year. This is usually around January 1st, 2nd or 3rd. The main purpose of hatsumode is to pray for health, happiness and success for the year ahead. 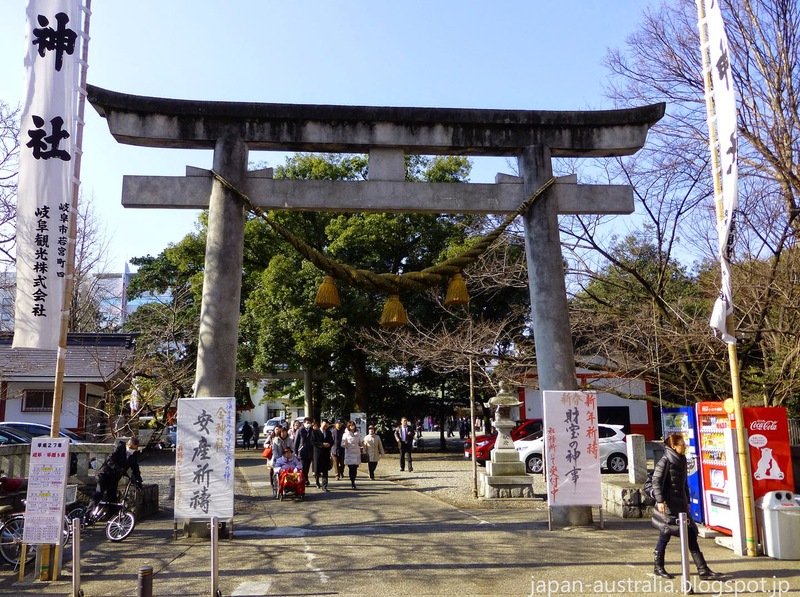 Kogane Jinja (金神社) is one of Gifu’s most famous Shinto shrines and is conveniently located in the city center. The shrine was founded way back in 135 and has long been considered a place to pray for financial blessings in Gifu. 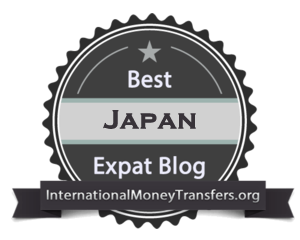 This year we chose Kogane Jinja because we wanted to avoid all the crowds at Gifu’s main shrine, Inaba Jinja as well as pray for a financial successful year. This is important to us as we recently had a baby and we need all the financial help we can at the moment with just me working to support the family. Kogane Jinja has been destroyed and rebuilt on several occasions with the current structure built in 1988. The shrine has a nice feel to it and is always a popular place in Gifu to pray as it is so conveniently located to the downtown area. The enshrined god at Kogane Jinja is the goddess, Nunoshihime-no-mikoto, who is the wife of Inishiki-Irihiko-no-mikoto, the god of Inaba Shrine. 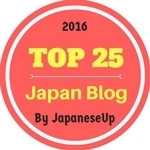 We made our hatsumode at Inaba Jinja last year, which you can read about on this post. 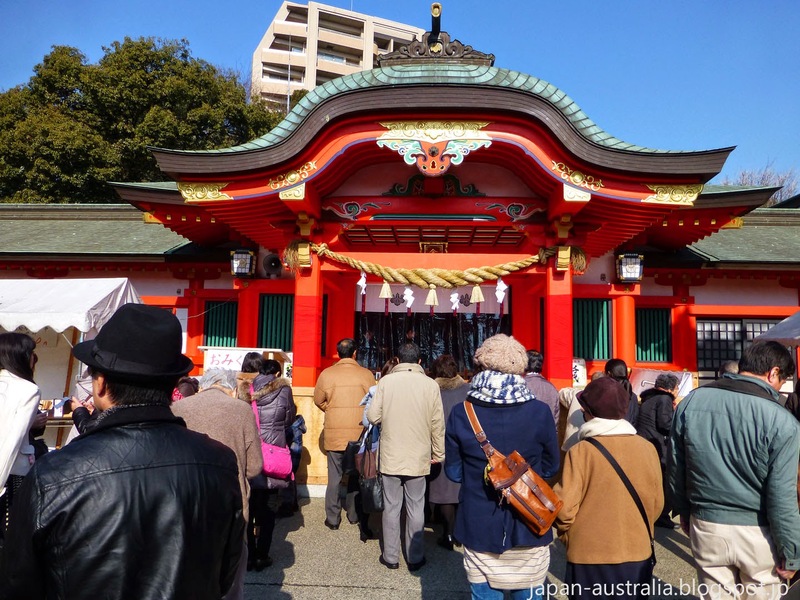 The New Year’s period is always the busiest time for Kogane Jinja, with an estimated 150,000 worshipers visiting the shrine over the three-day period (January 1st ,2nd ,3rd). 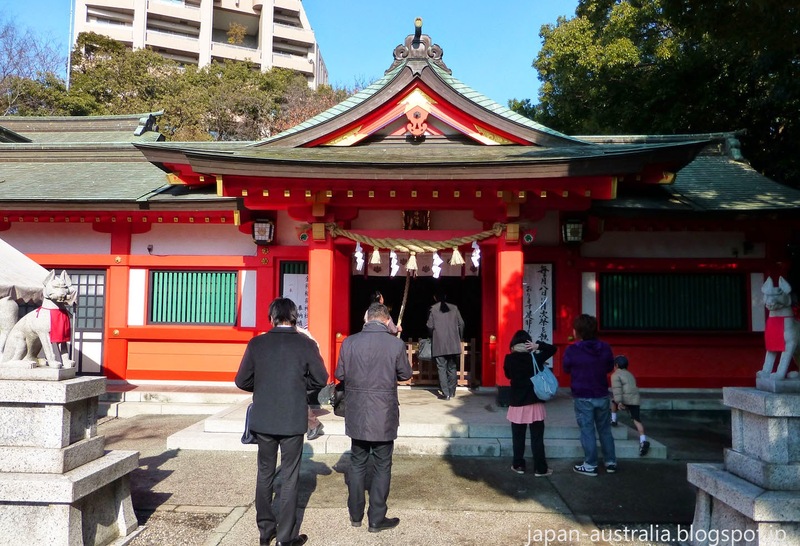 Osaisen (賽銭) is the custom of offering money to the gods at the shrine for good luck. Simply throw a small coin (5 yen is best) into the saisen-bako (賽銭箱) donation box, bow twice, clap twice, pray to the gods for a happy and prosperous year and bow once again as you finish. 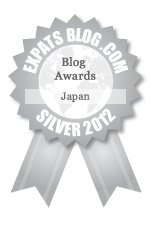 Why is a 5 yen coin the best? 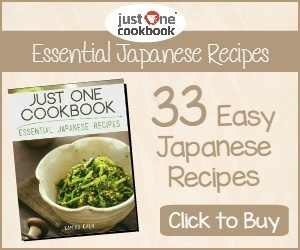 Because go-en (5 yen in Japanese) means chance, fate or destiny, and is considered lucky and to bring about good fortune. 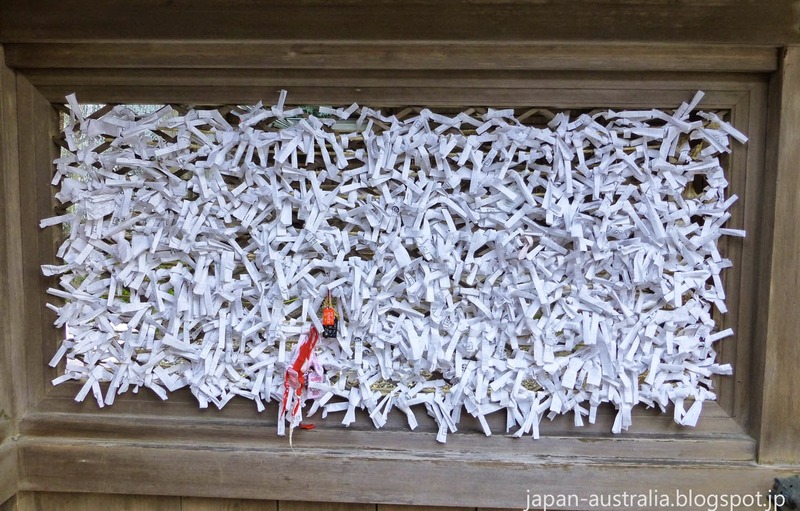 Omikuji (おみくじ) is another common custom when visiting a Shinto shrine in Japan. You can buy an omikuji at many different locations around the shrine for 100 yen. It is basically a fortune written on a small piece of paper. There are typically twelve different kinds of fortune you can receive ranging from good to bad. Don’t worry if you receive a bad fortune, simply tie it onto the special rack or tree on the shrine grounds, and this will ensure that the prediction will not come true. Remember to keep it if you receive a good one. 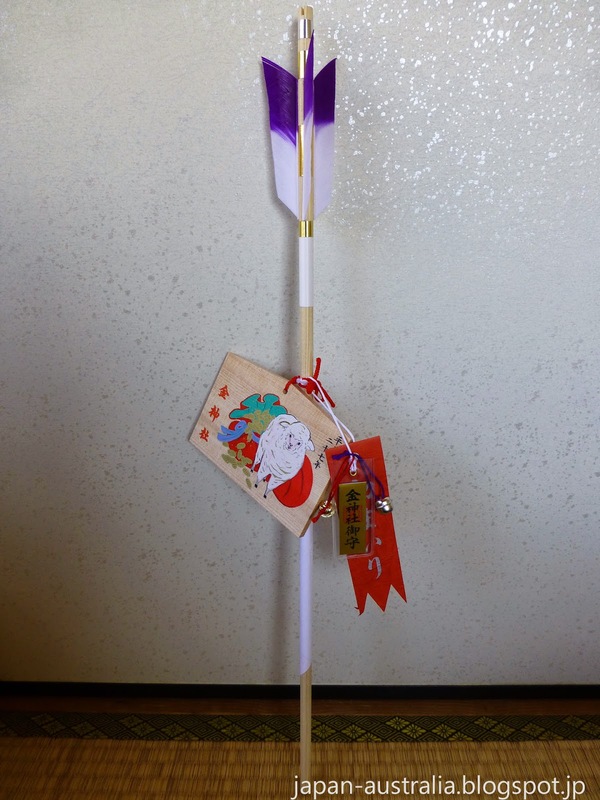 Hamaya (破魔矢) is a decorative wooden arrow sold at shrines to ward off misfortune and attract good luck. It is traditionally only available during the first few days of the year. They are sometimes also called ‘demon-breaking arrows’. Each shrine has its own unique design and they make a very cool decoration for your genkan (entrance at home) or souvenir. Traditionally, they are placed at the north-east and south-west corners of the house to protect against evil spirits. It is believed that these parts of the house are the most susceptible to evil influences. 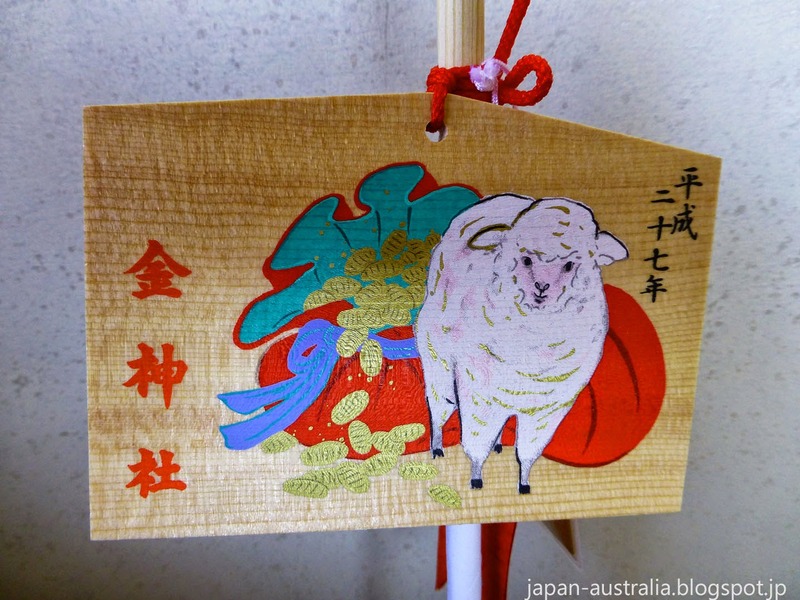 This year is the Year of the Sheep, so hamaya will feature a wooden wishing plaque called an ema (絵馬) with a sheep. Amazake (甘酒) is one of my favourite New Year traditions at a shrine in Japan. It is a sweet traditional Japanese sake that is usually drunk to celebrate a special occasion such as the New Year. A great way to finish off your hatsumode is by drinking a cup of steaming hot amazake by the bon-fire at the shrine. Hi Ru! Thank you! We had number two at the end of November and he has been a fantastic addition to the ever growing JA family.